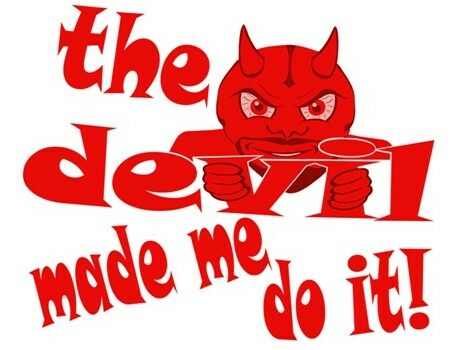 “The Devil made me do it! !” (LOL) I’ve been watching for the opening of a new business in downtown Livingston. I was “in town”–at Lowe’s (twice)–for a bag of concrete. Today’s grand opening was attracting a lot of attention and I (regrettably) decided to join hundreds of others going to Hartz Chicken Buffet. I wanted my simple two piece meal “to go” and total wait in line exceeded one hour!! Seriously (LOL), “the devil made me do it.” I seldom eat meat; I rarely eat “fried.” But I came home with two pieces of “fried” chicken, and fried okra.